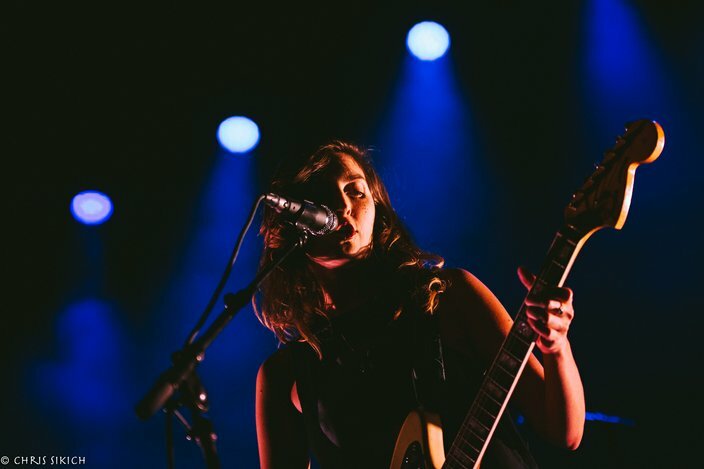 Warpaint plays Union Transfer on Oct. 9. 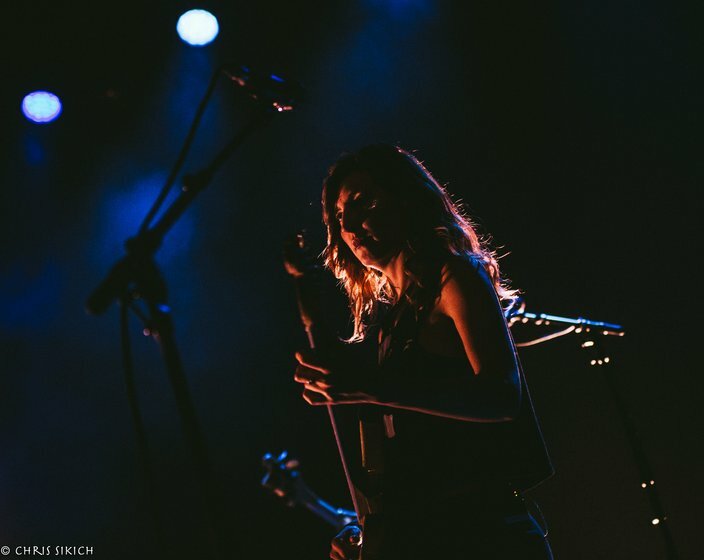 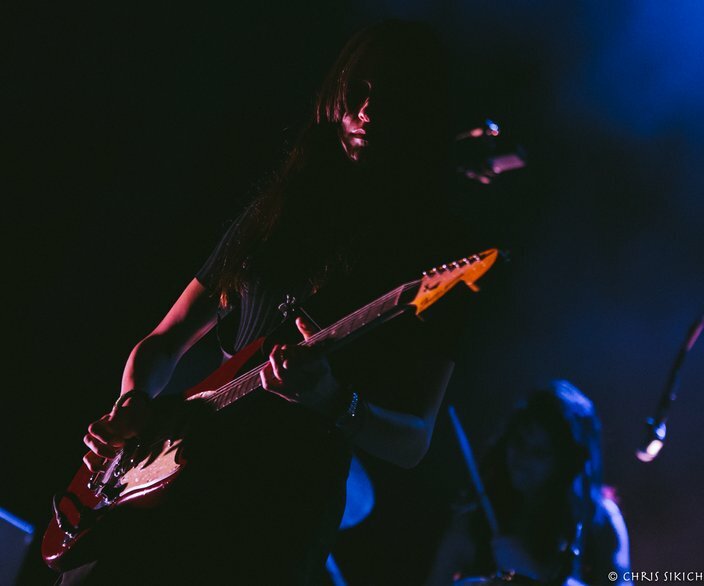 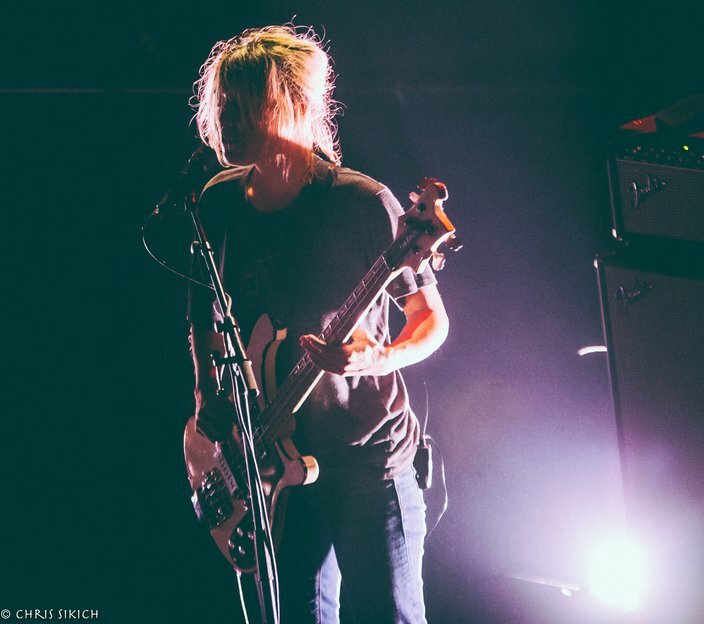 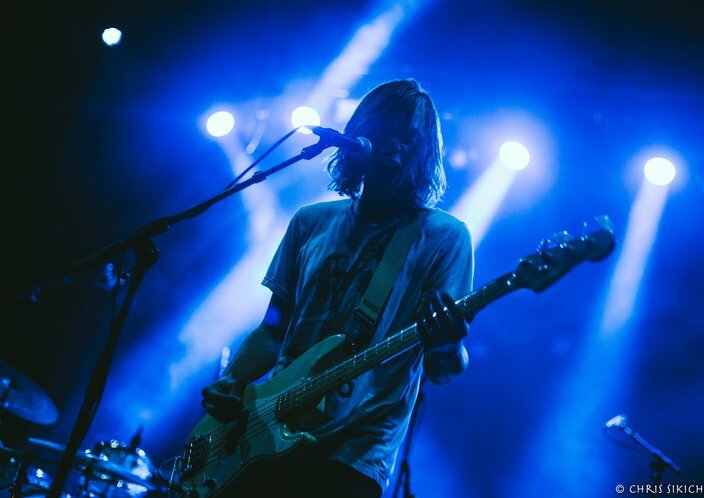 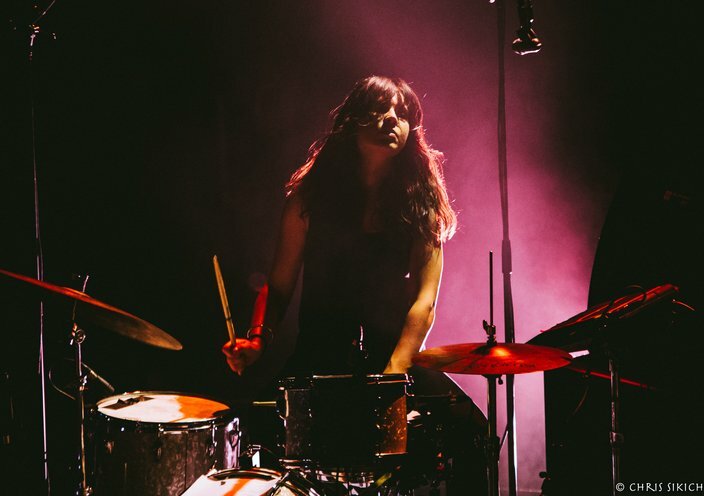 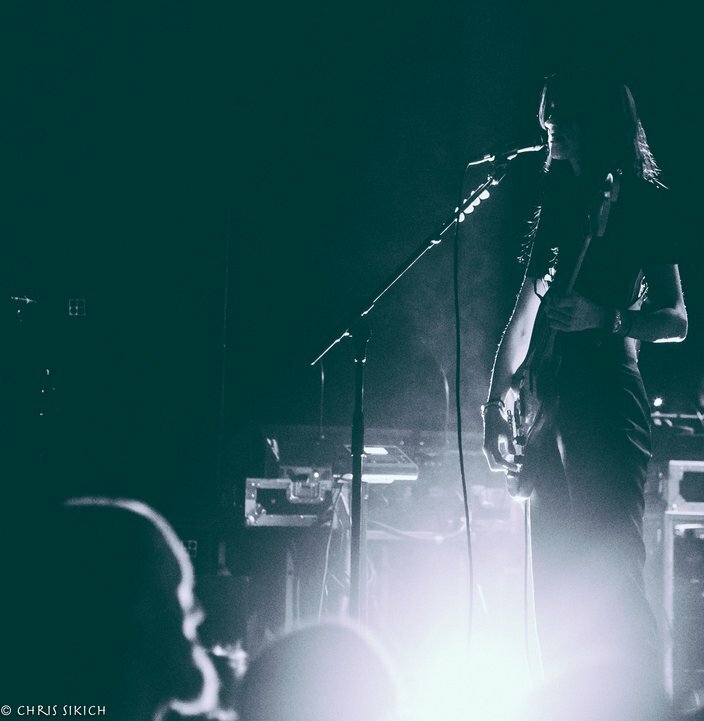 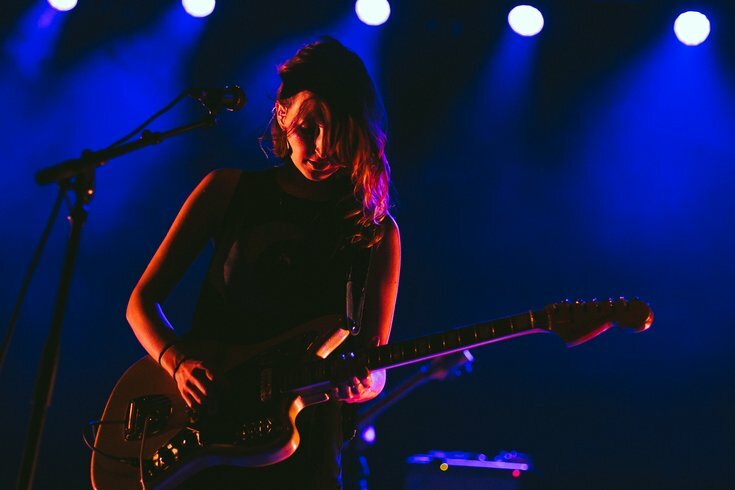 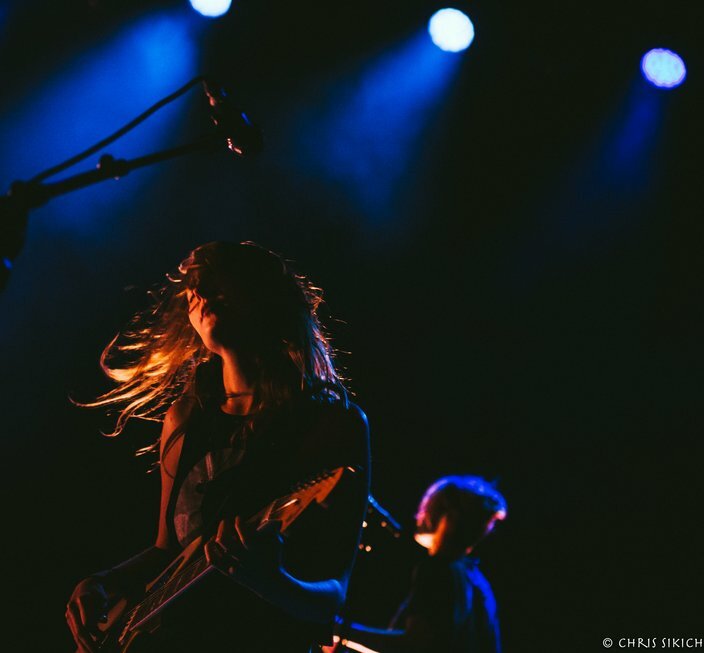 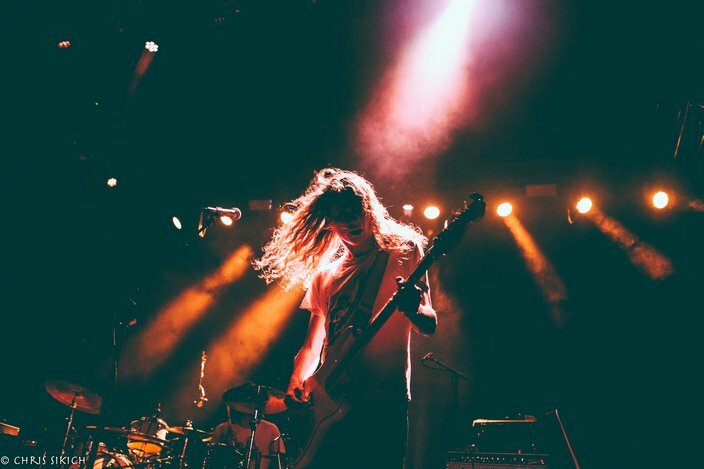 Whispers of otherworldly percussion and haunting guitars floated through Union Transfer last night, and out of the shadows of blues, purples and oranges emerged the California soothsayers Warpaint. 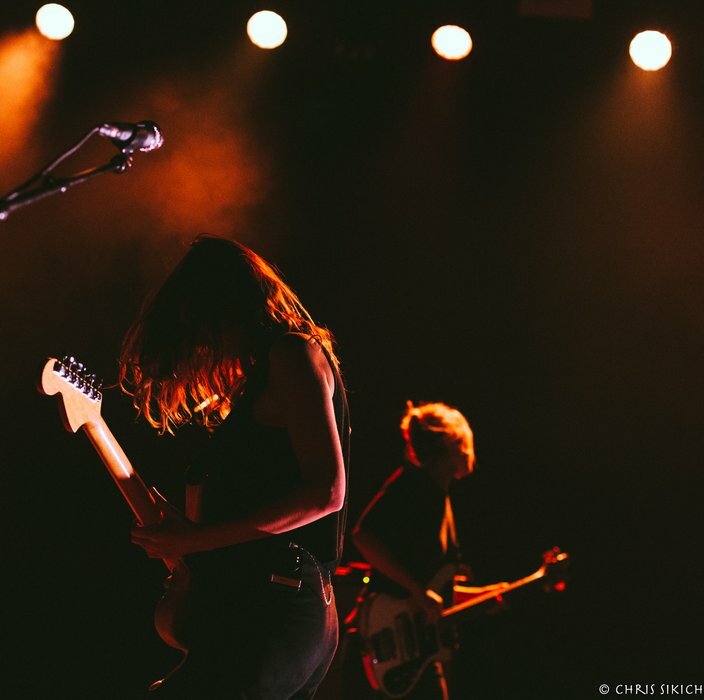 With the stunning 2016 release “Heads Up” as a catalyst for the show, the band was at its soul-satisfying best. 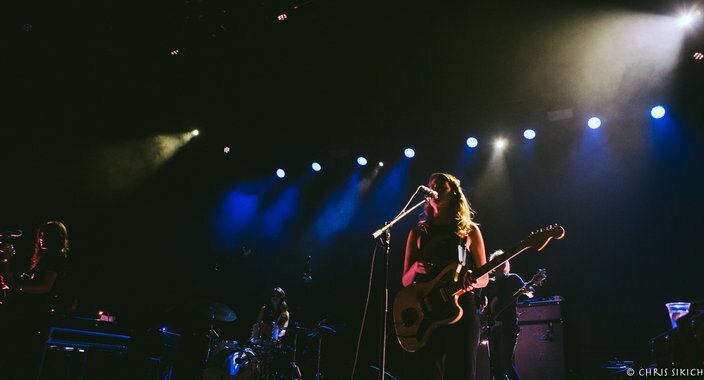 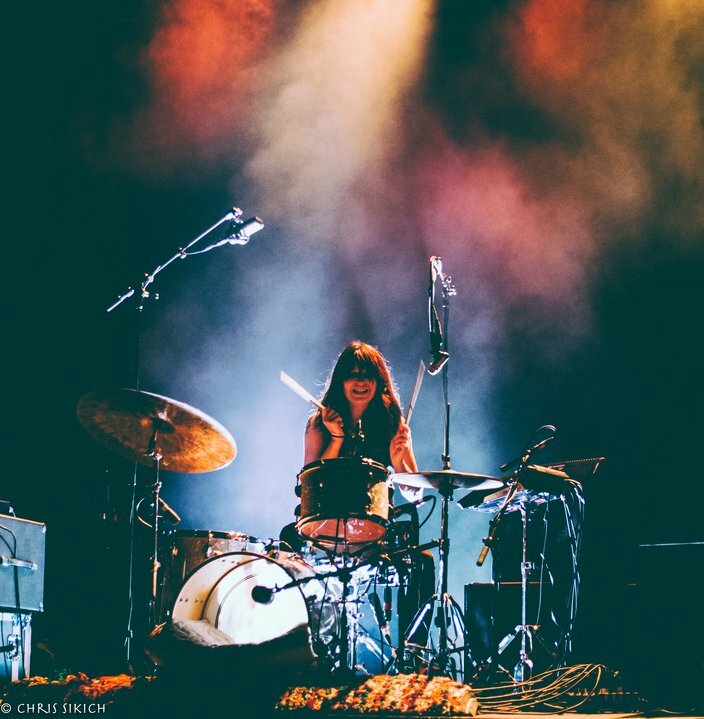 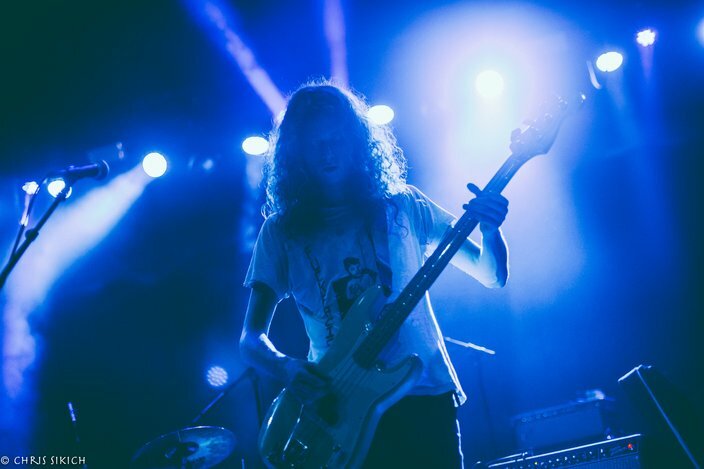 The harmonies of Emily Kokal, Theresa Wayman and Jenny Lee Lindberg flowed in and out of focus, while the strings of the three and the drumming of Stella Mozgawa took the crowd out to a darkened sea of beats and hooks. 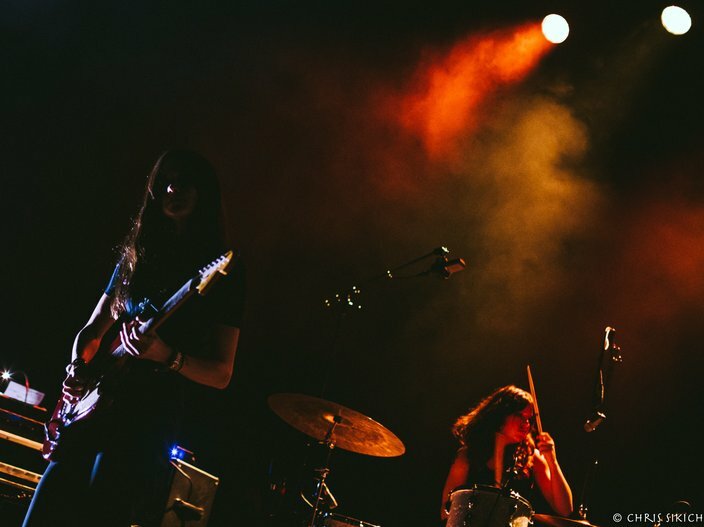 Newer stuff like “Whiteout” shimmered and showed its the connective tissue to past songs like “Bees.” Backlit much of the time and elusive in all but sound and flashes of light, most dramatically showing off the drumming prowess of Mozgawa, Warpaint are masters of the audio and the visual. 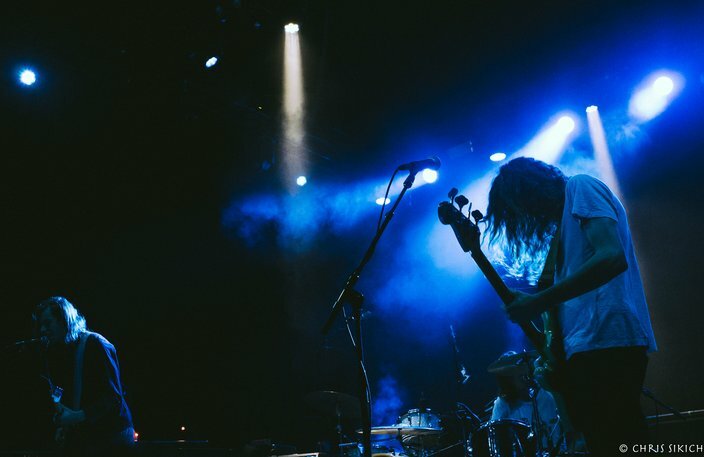 Punk rockers Facial opened, playing their first ever local appearance. 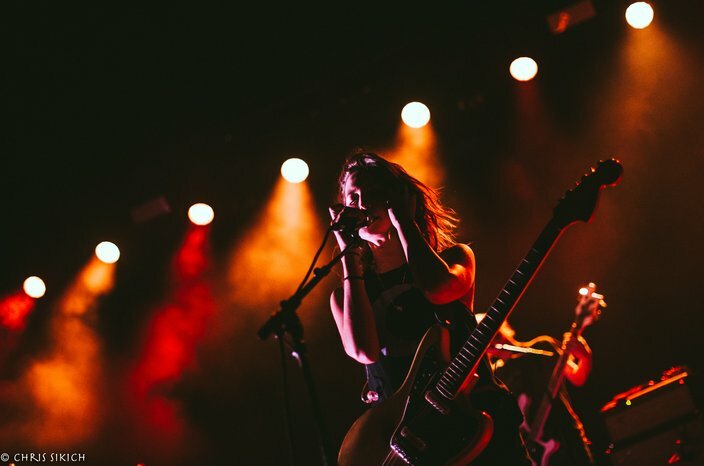 Their grit and energy were welcome. 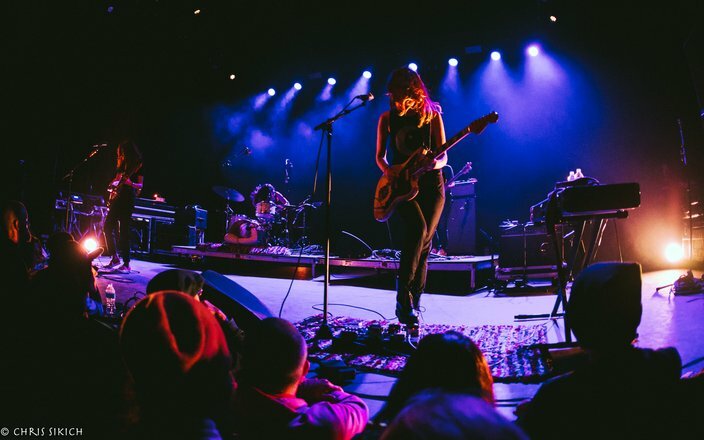 And the namechecking of Bardo Pond for a dedication to one song made the set all the more sweet for the Philadelphia crowd. 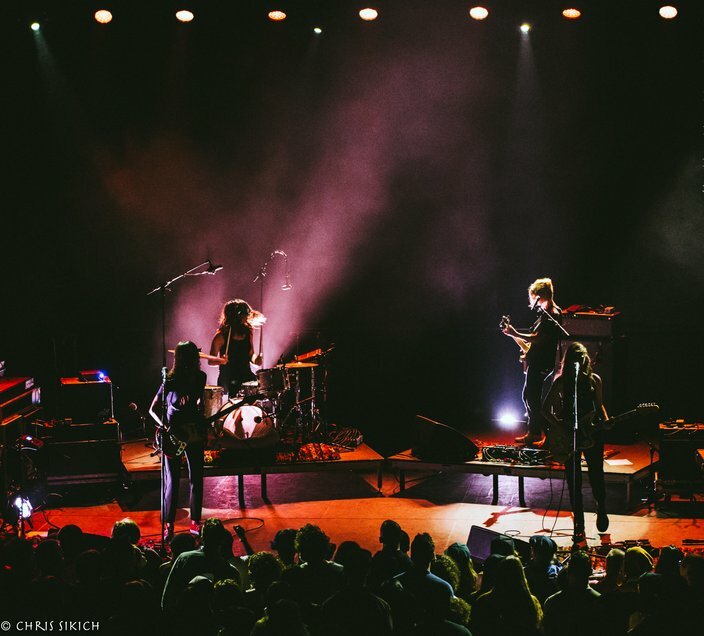 Facial plays Union Transfer on Oct. 9.